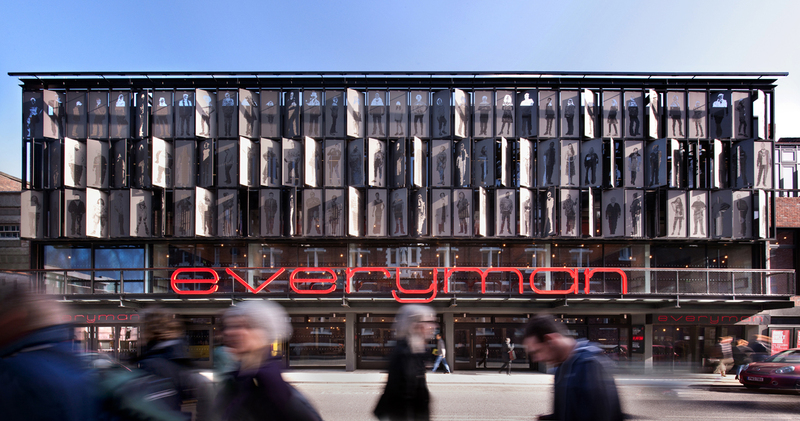 Liverpool’s recently opened Everyman Theatre is using advanced air distribution components designed by Waterloo Air Products Plc as part of a £28m re-build. A priority was to minimise running costs with sustainable design and equipment. Natural ventilation was favoured and was achieved by making use of the building’s fully exposed concrete structure and reclaimed brickwork walls, which provided excellent thermal mass. 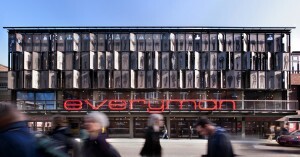 The entire front façade is designed as a large screen of moveable sunshades. The theatre’s offices and ancillary spaces are ventilated via opening windows and the foyers are vented using opening screens and a large light well. Air is distributed throughout the complex which comprises a basement bistro, street café and box office on the ground floor. There are three further floors with gallery seating, control room and auditorium. Waterloo supplied Airline Linear Grilles and Louvre Faced Diffusers as well as plenums and supply and exhaust valves. “It was important that the grilles, louvres and diffusers we supplied could respond to the theatre’s air flow requirements,” says Rick Edmondson, Waterloo’s Chairman.